In the first segment I talk with documentary programmer Thom Powers. Recently recovered from his 8th season programming the documentary slate at the Toronto International Film Festival, Thom, along with his wife Raphaela Niehausen, are now heading into the 4th season of DOC NYC. The festival is the largest documentary film festival in the U.S. and Thom discusses various highlights from this season (November 14th—21st). Screenings will be held at the IFC Center and SVA Theater. 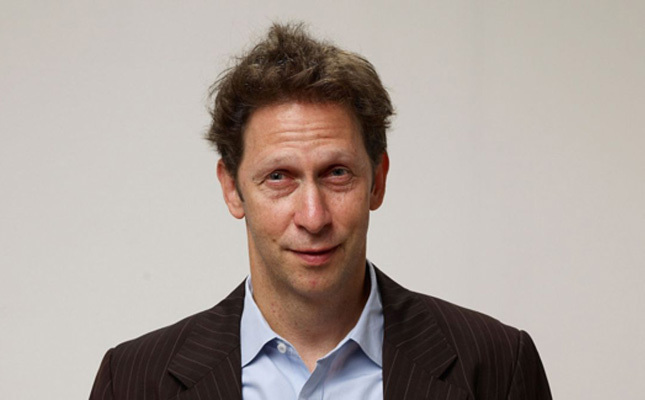 The indie film actor, Tim Blake Nelson ("O Brother Where Art Thou", "Blue Caprice") is my second guest. Tim has been working a lot recently. His latest film, "Adventures From The Sin Bin", opens today. But he's also coming out in three films in the course of the coming months, all collaborations with James Franco. They include "As I Lay Dying", Bukowski, and "The Sound & The Fury". I sat with Tim on the terrace of his home on Manhattan's Upper West Side. His dog Tucker joined us for the chat.